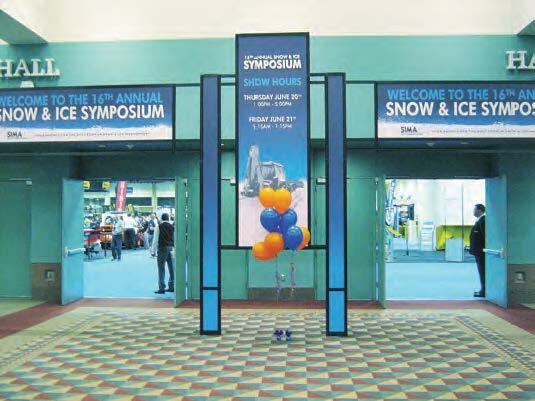 Snow and ice removal experts came together in Minneapolis, Minn., June 19–22 for the SIMA 16th Annual Snow and Ice Symposium. The business of snow and ice brought professionals from across northern states to Minneapolis, Minn., June 19–22 for networking and to see the newest in removal equipment and treatment processes. At the SIMA 16th Annual Snow and Ice Symposium, Matt Dudlak, account executive with The Municipal, had the opportunity to touch base with APWA and NTEA members in addition to new contacts about the business of cold-weather operations, leadership and techniques. At the well-attended show, participants had the chance to view impressive equipment like the RPM Tech two-stage, dual auger, detachable snow blower and to hear advice from professionals such as attorney Patrick McGuiness, who spoke about the nuances of snow plowing contract language. Snow and ice industry awards were also presented at the event.